Yeah, we’ll admit – it’s a doozy. And it’s a tough one to measure up to. But we’ve recently discovered the beauty of Ibérico lamb at Olé Spanish Restaurant, and now it seems we may have some fidelity issues on our hands. When your restaurant is 20 years old – a rare dinosaur, by the standards of Hong Kong’s dining scene – we can allow room for forgiveness if you prefer to stick to what works and what has helped your business to prevail through a volatile and unpredictable dining landscape – which makes it all the more impressive that Olé throws caution to the wind and takes liberties to explore new dishes and ingredients each season. And it’s working. Lunchtime sees this Central stalwart packed to the brim with diners, chatter and a steady stream of steaming platters. Their new winter delicacies menu, available until 28 February 2019, saw us encountering a selection of dishes that not only wafted over us like a breath of (fragrant) fresh air, but made the revisit to Olé an especially memorable one. As expected, the 12-hour slow-cooked Ibérico lamb shoulder and mortar potato ($630) was a showstopper – an oversized, stupendous centrepiece that unapologetically claimed half the tabletop as it was set down in front of us. Raised on a strict diet of corn and sunflower seeds, this particular lamb boasts a desirable blend of formidable aroma, minimal gaminess and natural layers of tender meat and fat reminiscent of Ibérico pork. With very little seasoning added to the lamb, we were treated to a pure, unencumbered flavour and an irresistibly soft texture that bordered on a religious experience. 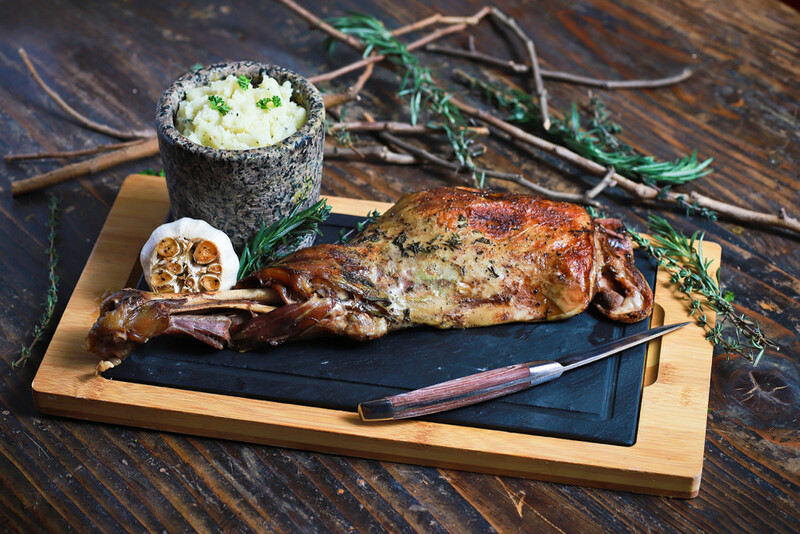 The roasting of the lamb shoulder as the final step of preparation gave us the gift of toothsome, crisp skin – a gorgeous contrast. The side of smooth mashed potato, served in a tall, cylindrical mortar, played a mellow but necessary supporting role. Noteworthy too was the homemade cheesecake ($110), plated up in a shallow ceramic dish with a smattering of crumble and a side of natural fig preserve. 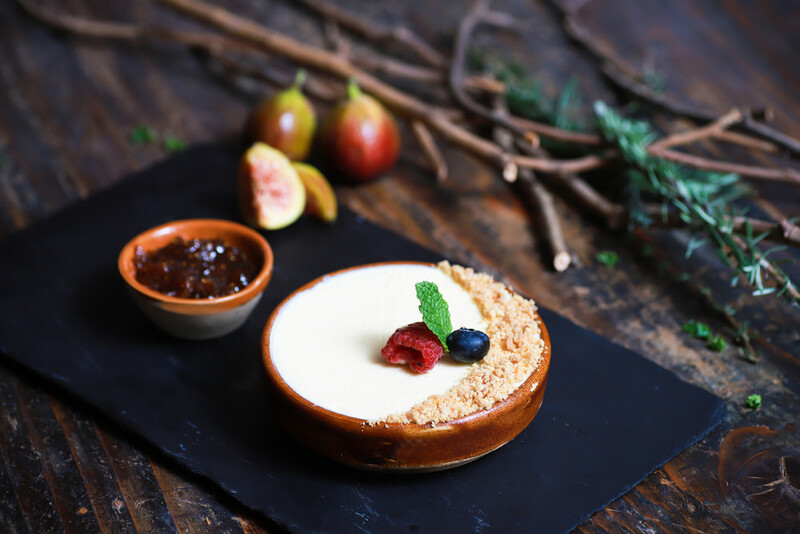 Cheesecake rarely surprises us, but this iteration, made with traditional cow’s and goat’s cheeses sourced from the northern Spanish region of Asturias, was uncommonly good, with a creamy, almost whipped texture – leagues away from the solid bricks we normally encounter. Though quite different in texture, flavour and execution, we found similarities between the pan-seared royal pigeon with meloso rice ($220 for half, $380 for whole) and the grilled scampi with suckling pigs’ feet and beans ($210). 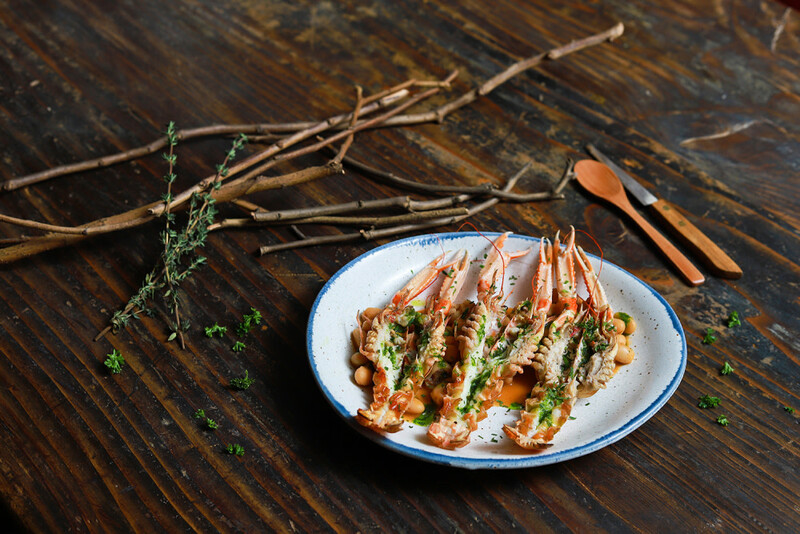 Whilst both dishes rarely make an appearance on the menus of Spanish restaurants in Hong Kong, they bear illustrious histories that tie back to the country’s hunting and fishing cultures and the seasonal Spanish diet. 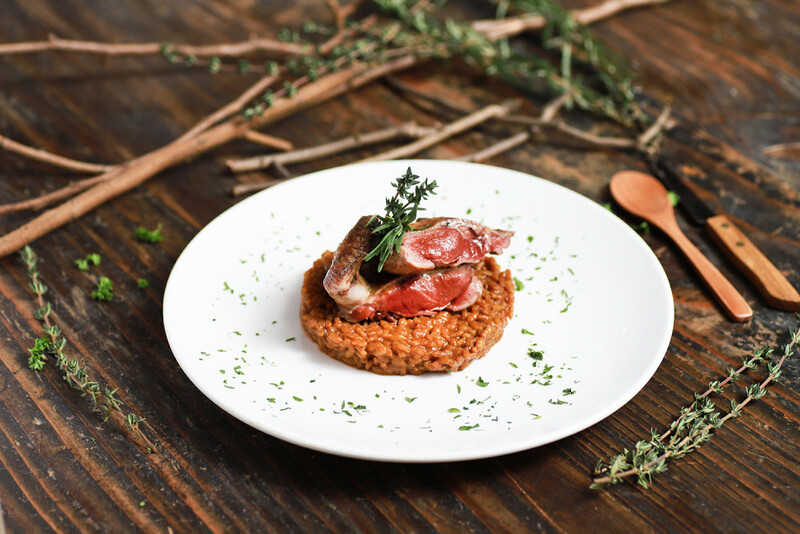 Chef Antonio served the pigeon in what we can only describe as “uncomfortably raw” – which incited some hesitation in us – but the quality of the bird, we were assured, was such that any more time on the hob would have rendered it a waste. And we tasted that with each bite: tender and with a complex flavour buttressed by spoonfuls of meloso rice, Spain’s answer to risotto. And the scampi and suckling pigs’ feet? Not a combination we’ve ever seen before, but one that works, in its own odd way, a gift from the contrary Catalunya region, ruled by mountains and coastal depressions. Boiled and diced pigs’ feet were sautéed with white beans in a sauce of garlic, olive oil, bread, parsley and almond. Served up as a fragrant bedding to the grilled scampi, the crustacean’s oils seeped out, encouraging a soup of unique maritime aromas and soft, gelatinous trotters. 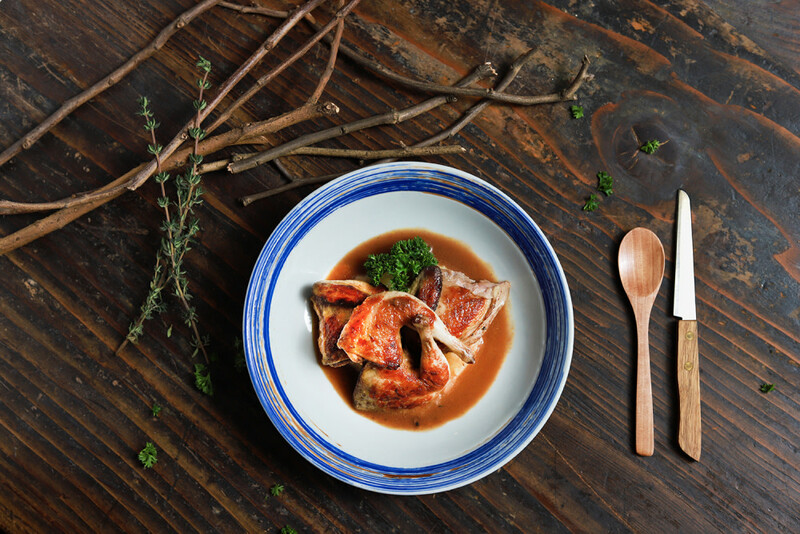 The quail in chocolate sauce with green apple mash ($180) was a troublesome dish, not only in its complicated preparation but also in its dismantling. The petite size of the bird called for finesse, both inside and out of the kitchen. First, the feathers, bones and innards were tackled, then the marinade was methodically applied and, finally, there was a mild sauté and a thorough steam. We did battle separating succulent meat from delicate bone, and each morsel was hard-earned and delightful in its natural flavour. This traditional hunter’s dish came atop a bed of green apple mash with a chocolate sauce, adding a sweet, sour and bitter touch that walked a fine line between intriguing and questionable (we could have done without the sauce). We warmed ourselves up with a classic fishermen’s soup, inspired by the Galician diet and filled with delights from the sea. 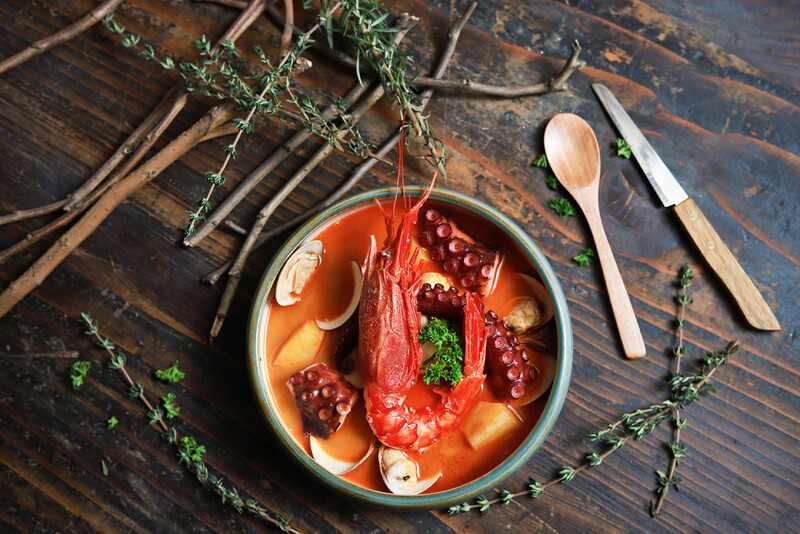 For the caldeirada gallega ($388), the stock was slowly stewed with potato, sweet pepper, chilli, and saffron, finished off with the addition of octopus, clams and red shrimp. This spiced, hearty soup sent wholesome heat down our spines, with a pinch of brininess delivered by the fresh, fleshy seafood. 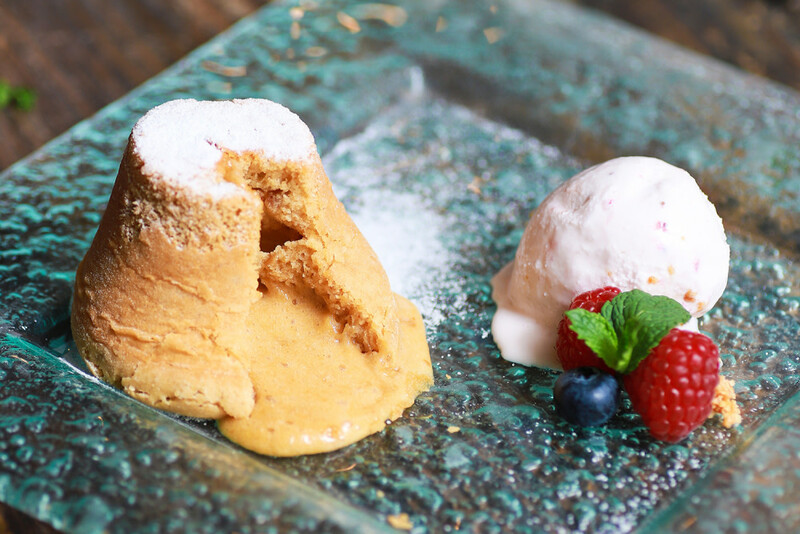 Sweet tooths will appreciate Chef Antonio’s turrón fondant ($90), an ingenious combination of marzipan – often found in Spanish winter desserts – and French-style fondant that comes together in the form of a melting, fudgy lava cake, paired perfectly with berries and raspberry ice cream. The subtle sweetness of warm, almond-flavoured marzipan made for a well-rounded finish to the meal and alleviated the palate from the lingering richness of the previous courses, easing us into coffee and tea. We can’t help but feel a little protective of this long-standing restaurant that has slugged it out in Hong Kong’s turbulent dining scene. The fact that the Olé team dig deep into Spain’s rich reservoir of traditional cuisine and churn out authentic, unconventional dishes every season like clockwork can only be commended. We especially admired the Ibérico lamb shoulder, the pan-seared pigeon and the grilled scampi with suckling pigs’ feet, which we haven’t seen served elsewhere in Hong Kong – a place that does not lack for Spanish restaurants. Come for dinner to be served a side of dulcet guitar tunes, courtesy of Olé’s house band, who perform in the evening and at the weekend.